Investigative documentary. A year-long look at the lives of three young revolutionaries as their differing visions for the new Egypt collide following 2011's Arab Spring. International investigative documentary series. In February 2011, millions of Egyptians came together to bring down President Hosni Mubarak in what became the defining moment of the Arab Spring. For the past year Children of the Revolution has followed three young revolutionaries as their differing visions for the new Egypt have begun to collide. Ahmed Hassan hoped a new Egypt would mean finding work. 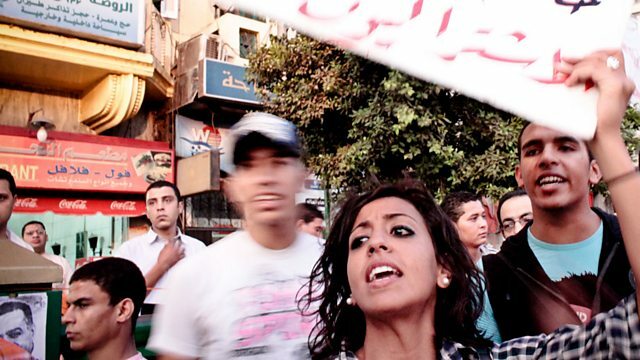 Socialist activist Gigi Ibrahim's desire was for an Egypt that would respect freedom for all. Tahir Yasin, tortured in Mubarak's jails, joined a new ultra-conservative party hoping to realise his vision of Egypt as an Islamic state. Children of the Revolution goes into homes, markets and mosques, witnessing families at war and personal dreams of revolution unravel.